Many individuals deal with tooth sensitivity throughout their lives. However, by utilizing a toothpaste created for sensitive teeth, you can keep tooth pain under control if even for just a few weeks. A specialty toothpaste can provide teeth sensitivity relief, making a huge difference in how they might react to “extreme” temperatures. Tooth sensitivity often represents an underlying issue like weakened enamel, recessed gums, as well as cavities. Nonetheless, some individuals possess more sensitive teeth than others. A toothpaste for teeth sensitivity relief serves as an excellent way to treat the pain. However, if sensitivity persists after weeks of product use, a trip to the dentist may be necessary. 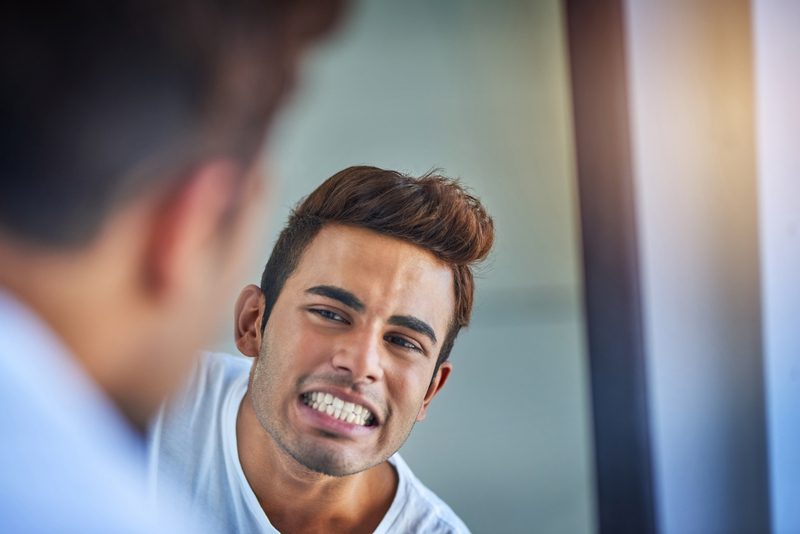 Dr. Andres de Cardenas wants to provide some information on some different toothpaste products on the market today that can offer teeth sensitivity relief. In some cases, patients discover that their teeth sensitivity is a result of the toothbrush and toothpaste they use. For this reason, we hope that the following list is useful for your needs. Sensodyne toothpaste brand reliably treats tooth pain with regular use. While their extra whitening sensitivity toothpaste won’t cure tooth pain in a singular brushing, it can gradually assist with teeth sensitivity relief. Additionally, Sensodyne designs this product to assist individuals with their tooth pain. However, it is not intended to repair enamel, or break up and prevent hardened plaque. If you experience more involved dental issues, a visit to a quality dental professional remains necessary for an optimal outcome. Tom’s of Maine imparts a well-known reputation for gentle, natural formulas and mild flavoring. This sensitivity toothpaste serves as a low-abrasion formula that can assist individuals with their teeth sensitivity relief. The inclusion of natural potassium nitrate as a component desensitizes teeth by filling in tiny tubules that may expose dentin while connecting underlying nerves to hot, cold, and pressure-related pain. This is also an excellent product for those that care about the companies they support. Tom’s of Maine funds a majority of their profits into charities and encourages employees to spend some of their working hours devoted to volunteer activities. Many individuals that suffer from tooth sensitivity possess other issues like cavities or weakened enamel. The concentration of fluoride in Colgate Sensitive Pro-Relief toothpaste can help restore and reinforce tooth enamel. This will reduce sensitivity over time. This product additionally contains potassium nitrate, a component that can aid with teeth sensitivity relief in just a few weeks of regular use. With an extended application, you can protect your sensitive teeth from acute pain as a result of cold, hot, or sugar. While these toothpaste products represent ideal solutions to help with teeth sensitivity relief at home, there is no substitute for in-person, professional dental care. 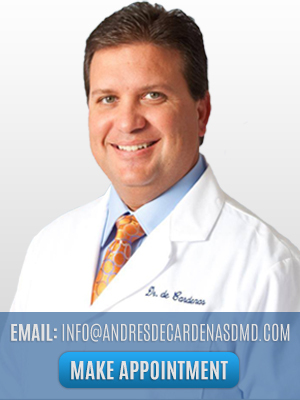 Dr. Andres de Cardenas and his dedicated staff want to help you enjoy life with your best, pain-free smile. We can analyze your current dental condition while devising a strategy to ensure your teeth sensitivity relief. For more information on what our dental practice can do for you, contact Dr. de Cardenas today to schedule an appointment!